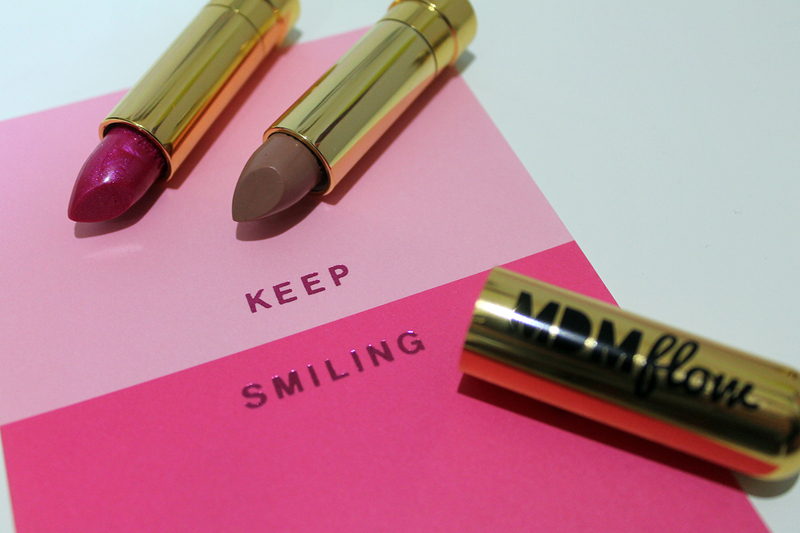 How often do you get to see lipstick being made? In front of your very eyes in the middle of Harvey Nichols? Not that often, which is what made the MDMFlow event in Liverpool last week so great. 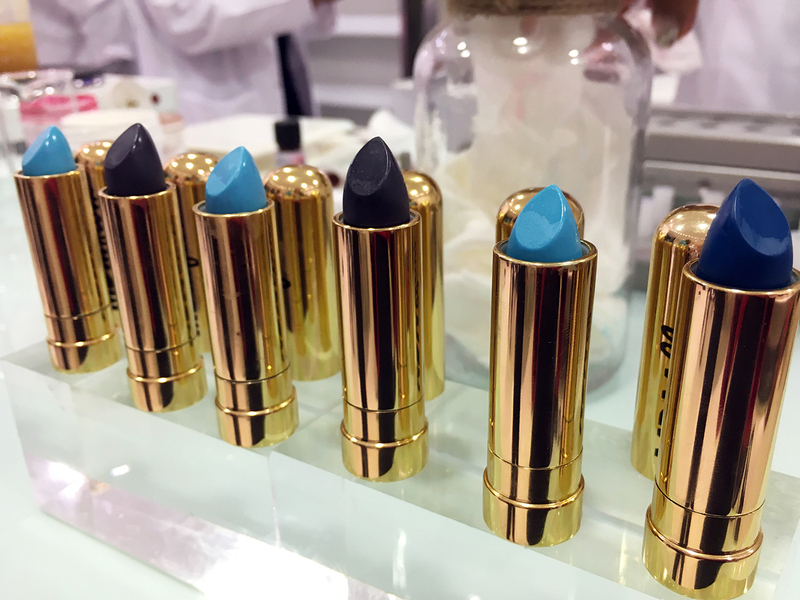 Florence and Liberty created a live lipstick lab in the shop, where us lucky group of bloggers got to help create the shades and even give them names. These two custom shades are 'snog a blogger' (great name Codie) and 'unicorn barbie'. It's not hard to see why it got that name, just look at that pink glitter! I had such a good time meeting the team behind MDMFlow, including founder Flo (total girl boss) and the lovely Liberty who genuinely made science seem cool, which says a lot because I was not a fan of science in school, at all. The girls explained the influences behind the brand, with hip hop being a major inspiration - I can definitely see Lil Kim rocking some of these shades to be fair. 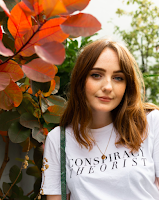 It was interesting hearing how the brand came to be, with a lot of formulas along the way, leading to this gorgeous creamy consistency - I've finally found a lipstick that doesn't make my lips as dry as a desert, yay! Thank you to MDMFlow for creating such a cool event and bringing it to Liverpool! 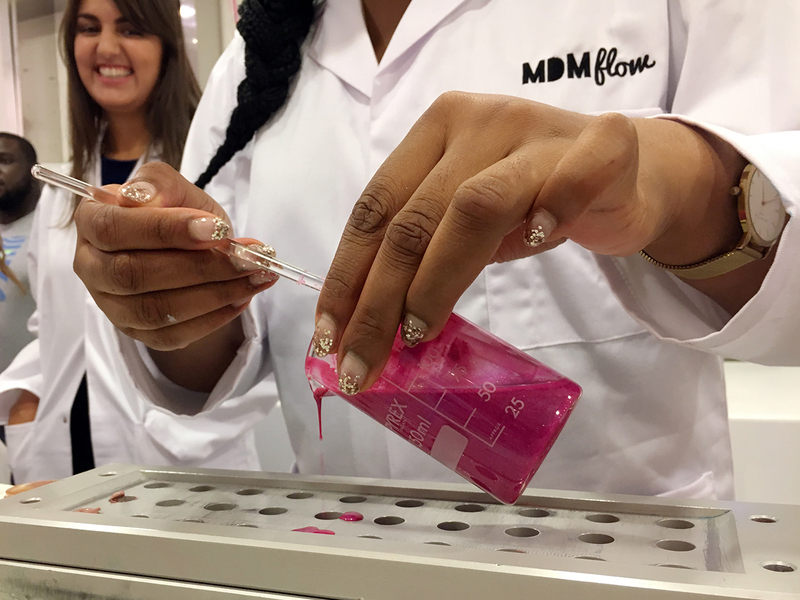 You can find MDMFlow lipsticks (and their mascara) in Harvey Nichols beauty bazaar in Liverpool, but if you live further afield, find your nearest stockist here, or shop MDMFlow online. 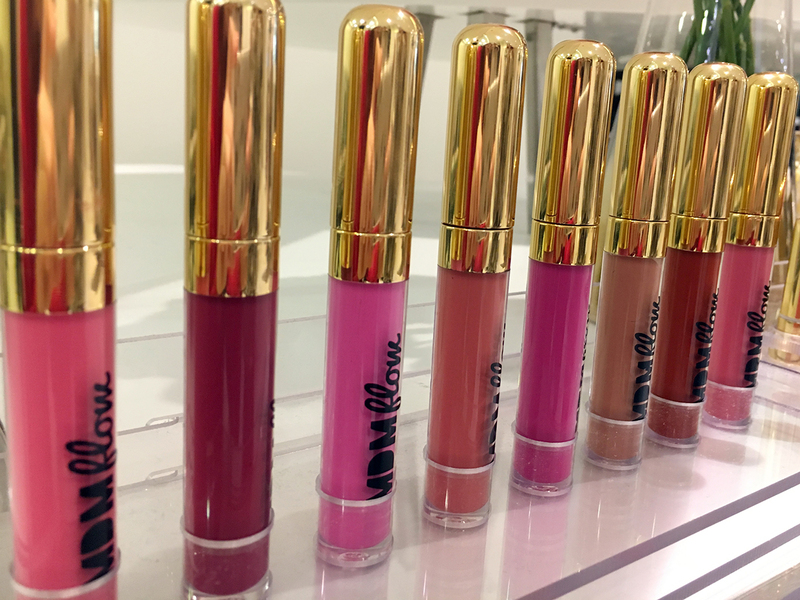 If you're looking for liquid lipsticks in all shades of pink, classic nudes to suit every skin tone or bright and bold mermaid shades, you'll find them at MDMFlow. I've already rocked 'snog a blogger' on my Instagram, and 'vamp' is on my Christmas list (hint to my mum who is hopefully reading this). I might even be brave and go for an orange shade...what do you think? Looks like such a good event! :) Definitely try out an orange shade! So gutted I missed this event! Really want to try some of their liquid lipsticks!